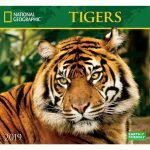 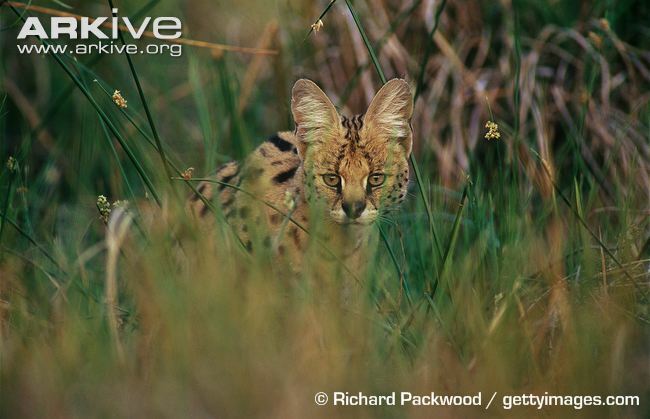 The Serval cat (Leptailurus serval) is a medium sized, spotted African wild cat, often confused with leopards and cheetahs due to their similar coloring. 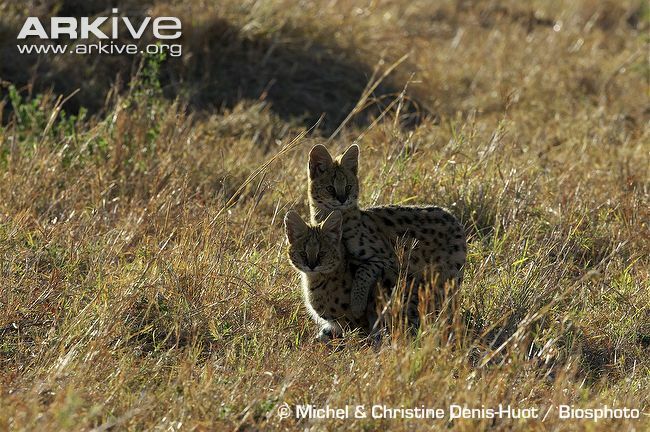 With its long legs and large ears the Serval is well adapted to hunt small rodents in grassland and wetlands; habitats which are under increasing threats through loss and degradation. 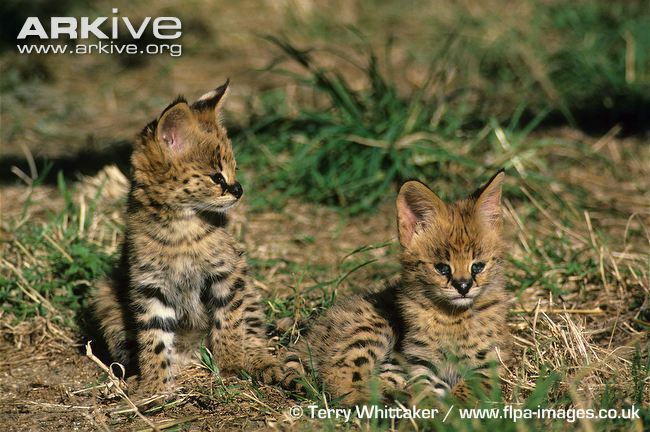 The Serval cat is well known in America as one of the exotic felines bred for the pet market. 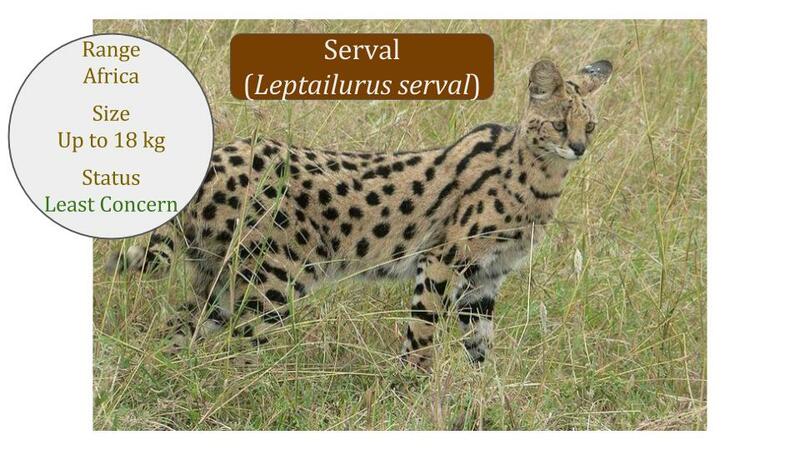 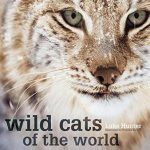 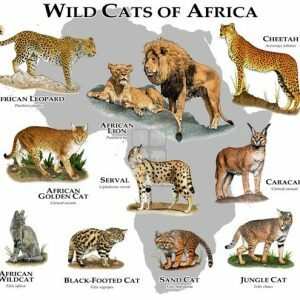 The Serval conservation status is Least Concern (LC) globally as the cat is widespread throughout sub-Saharan Africa. 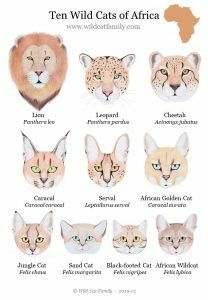 However it is listed as Critically Endangered (CR) for the Mediterranean region due to regional extinctions in North Africa.